Back in 1992, the members of Lettuce began jamming together while attending a summer program at Berklee College of Music in Boston, MA. Two years later, they rekindled their connection after simultaneously enrolling at the same esteemed contemporary music school in 1994, (if that’s not fate, then we don’t know what is). The seven-piece made it their mission to break into the music scene from there on out, asking jazz club owners all over Boston if they would "let us play"—and thus the group’s name was born. Since then, drummer Adam Deitch, guitarists Adam Smirnoff and Eric Krasno, bassist Erick “Jesus” Coomes, keyboardist Neal Evans, saxophonist Ryan Zoidis, and trumpet player Eric Bloom have released five studio albums including Outta Here, in 2002, Rage!, in 2008, Fly!, in 2012, Crush, in 2015, and their most recent EP, Mt. Crushmore, which came out this past week. While they've been traveling and making music for some time now, Lettuce has made it clear that they're not slowing down anytime soon. The crew finished up their Sounds Like A Party Tour in November, and we were able to catch one of their last shows at Emo’s in Austin, Texas. And as we indulged in the funky vibes, hip-hop inspired beats, and smooth jams, we couldn’t help but wish the tour wasn’t coming to an end. Didn't get to catch it this time around? Well, dreams really do come true, because these musicians have just announced their 2017 Mt. Crushmore headlining tour, beginning and ending in California as they circle around the US. 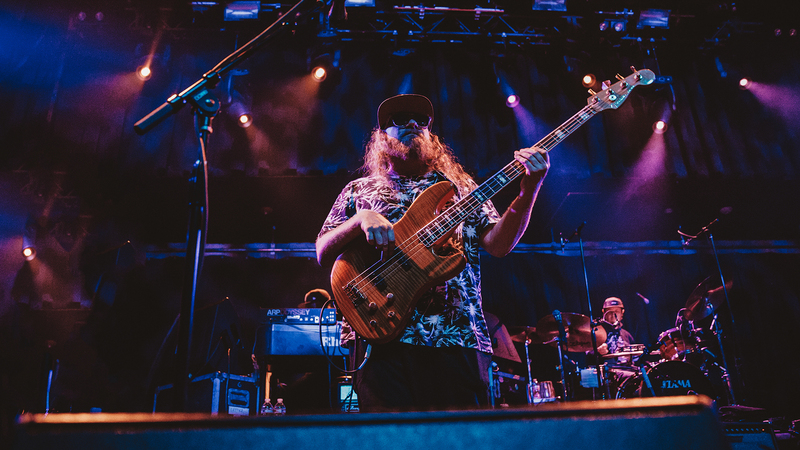 Tickets go on sale November 18, so before you check out these awesome pictures we took, track Lettuce on Bandsintown so you can plan your road trip to see them in the flesh.